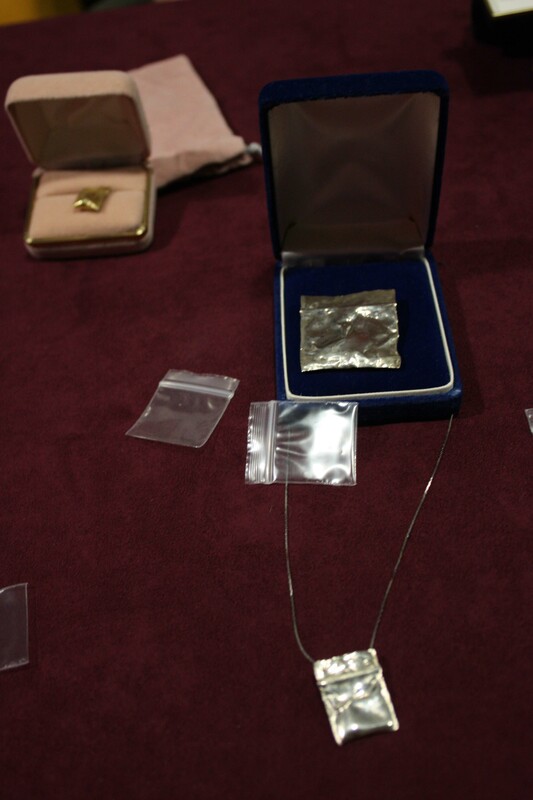 I have been back since the 29th of November and in my first week I found an opportunity to showcase my jewelry. What could be more appropriate that picking up where I left off, with the good folks at .HBC? They have come a long way in the two months that I have been gone. What was once a total mess, inhabited by an even messier artist (Sorry Anton, it’s true. But messy in a good way) has been fixed up into a pretty chic-looking party spot. The days are just packed at .HBC with music and live performances literally every night, and they even decided to have an indoor fleamarket on Sundays, inviting local (and international) artists to showcase their goods to the public. Naturally, I was there pushing my Schmuck. Here’s a Sean’s eye shot of my little table. Here are some close ups of the merch. and here is one of the many interested on-lookers who came by. 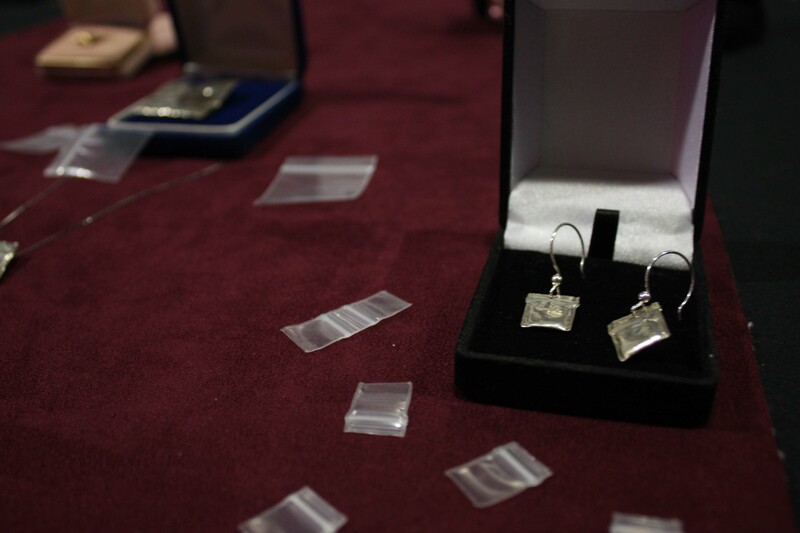 At the end of the day, I ended up selling one pair of earrings. 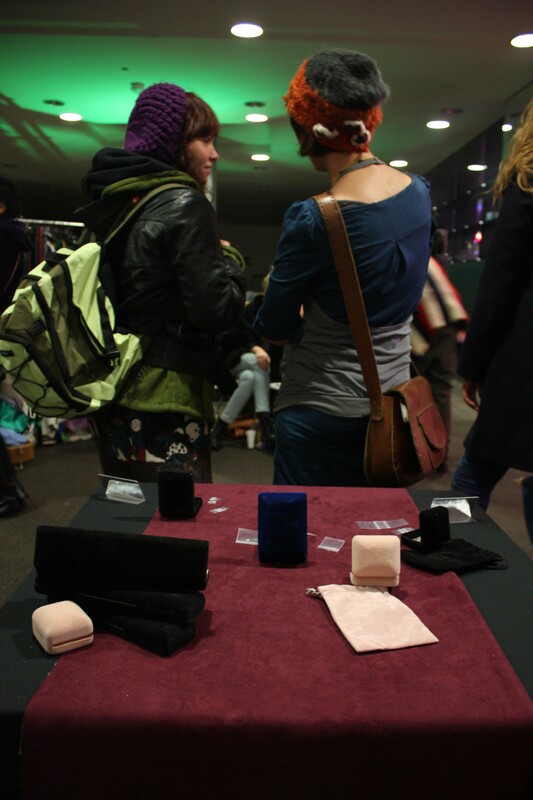 My first sale in Berlin! There is hope yet, and you can be sure that I will be back for the next Flohmarkt on the 20th of December to catch all of those artsy last minute Christmas shoppers! When going to a fleamarket, or any other kind of public venue, it helps to have a friend for moral support, and I got just the guy. 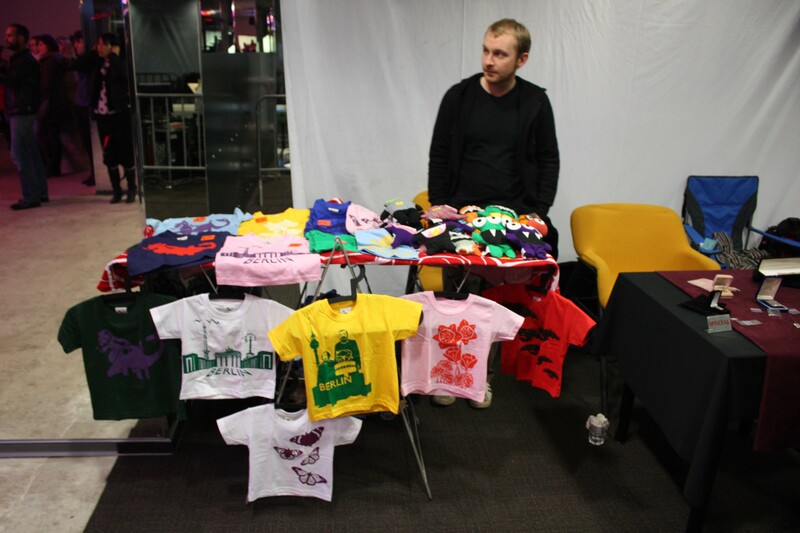 Andy Shaw, of Little Shawfish kids t-shirts and toys, came along to make some sales of his own. Andy is not only a veteran of the .HBC party scene, but helped moving the wings from Anton’s exhibition in September. Who else, I ask you? Who else would be better company on such an occasion? Here’s a shot of Andy himself, along with his adorable wares. 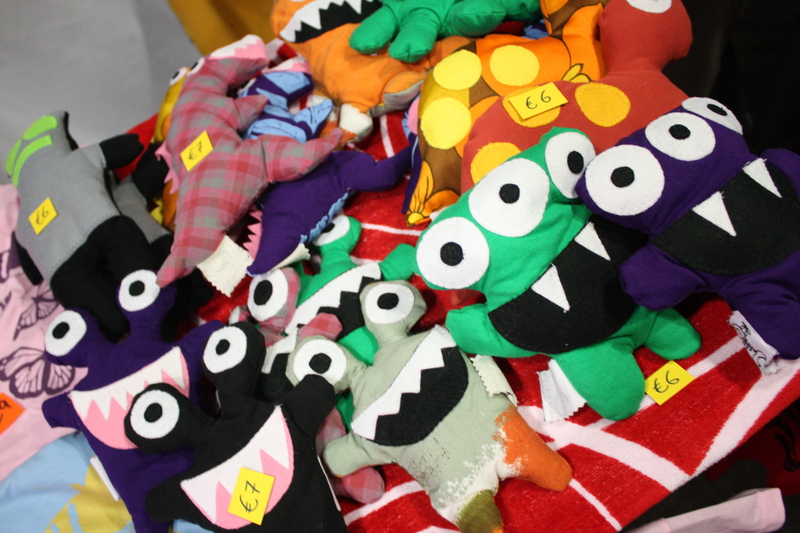 These little tees and toys can be found, both alongside my stand at the fleamarket on the the 20th, his website and listed under my links on the right hand side of this page. Come and join us, won’t you? At a very merry fleamarket next Sunday!!! This entry was posted in Art, Berlin, Jewelry, Sculpture and tagged Berlin, crack bag, fleamarket, flohmarkt, HBC, jewlery, Silver, wearable art on December 9, 2009 by seanhwilliams.